About half way between the two beaches the ground is disturbed. Looking carefully you can see that several hollows dip down into the cliff. 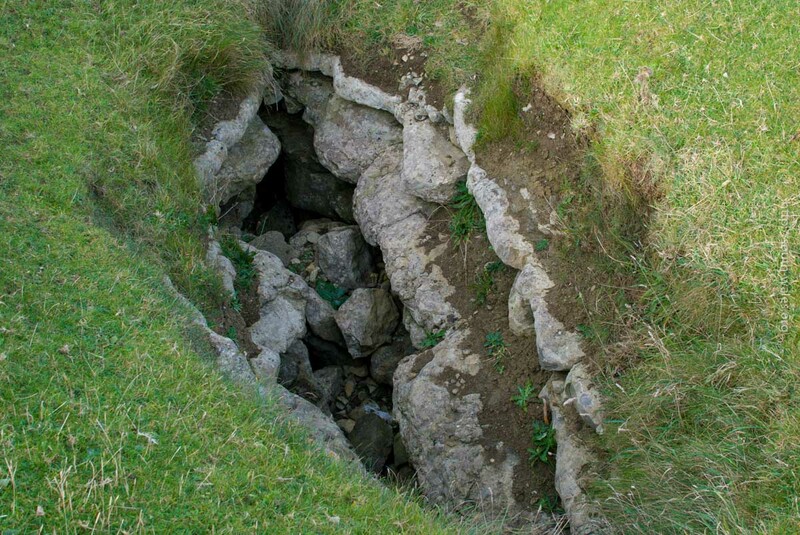 At one point it’s clear what the cause is – over the years water has infiltrated down through the limestone creating holes and fissures. The most obvious feature is a deep hole in the cliff-top which, at high tide, and with a stormy sea, acts as a dramatic blow-hole. If you’re lucky you’ll see sea water spray being blown out of the hole, even though the beach is many metres below. 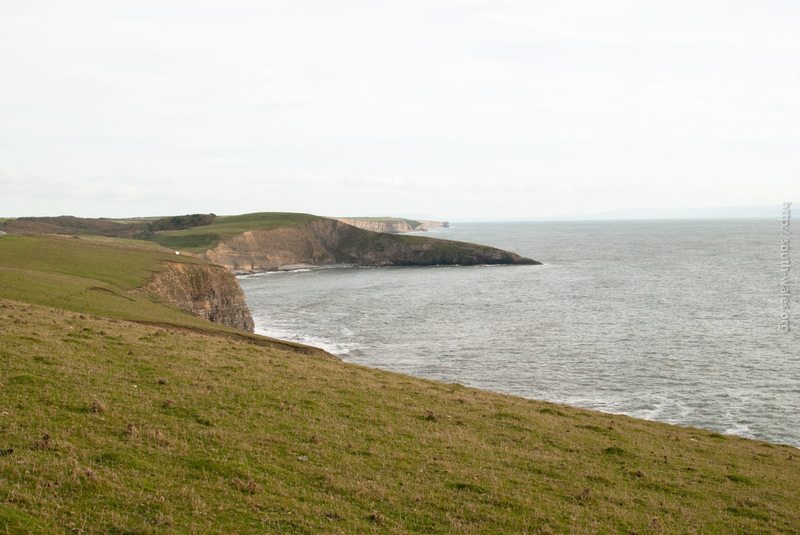 On a clear day you have great views across the Bristol Channel to Exmoor, and the Somerset and North Devon coast. There are toilets available at Ogmore and there is normally an icecream van parked in the carpark. Southerndown has few facilities though there is a small shop that may be open depending on the season and weather. Allow a couple of hours for the round trip between Ogmore and Southerndown. The walk isn’t really enjoyable if it’s very wet or windy but on a sunny day it’s glorious! You may wish to check the tides as access onto the beach at Southerndown is only really possible at low to medium tide levels. Be aware that the tidal range here is very large (up to 15m) and there is a risk of being cut-off on the beach.